I remember once, screwed up my Nokia N82 while trying to hack/jailbreak it. The smarthphone cannot install any sis/sisx Symbian applications anymore. Even after revert attempts, it is still remained the same. In the end, I performed the last resort, flashing the phone. Only then I have my phone working as normal. 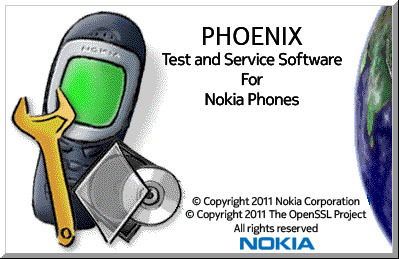 I think this is very useful if a Nokia phone goes terribly wrong, so I am going to show you how to flash it. But before we move on, please be extreme caution on phone flashing as it could bricked the phone if anything goes wrong. Always consider phone flashing as a last resort. 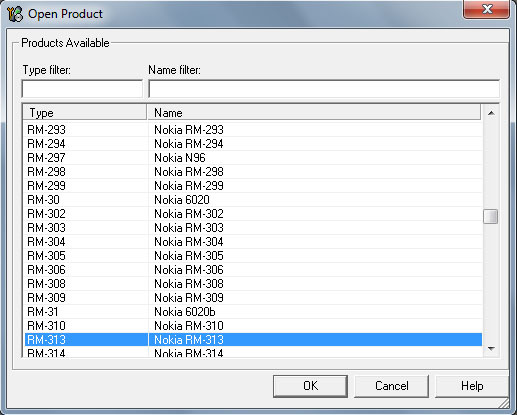 This procedure is compatible with all BB5 Nokia phones. Always use the appropriate firmware for phone flashing. 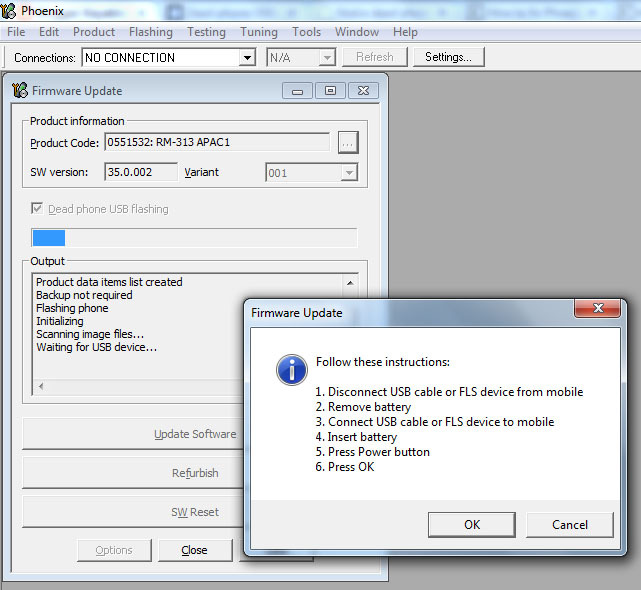 USB data cable, Phoenix Service Software, and Nokia firmware. Download the appropriate Nokia firmware. Do not connect the phone to computer with USB cable first and remove the phone battery. Start Phoenix, click File, and then Open Product. Open the Connection drop-down list and then select NO CONNECTION. Click Flashing, then Firmware Update. 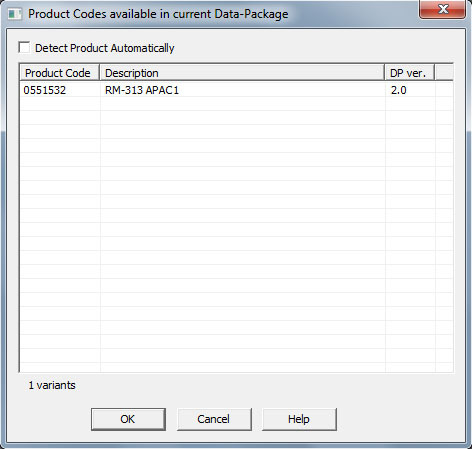 Make sure the box of Detect Product Automatically is unchecked. Select the correct firmware and press OK. 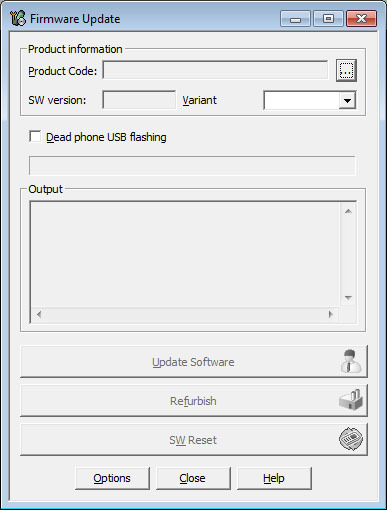 Check Dead phone USB flashing and click on Refurbish button. Read and understand the pop-up windows instructions and click OK.
Connect the phone to computer with USB data cable and insert the battery. Firmware Update process will start. When the Flashing is done, Firmware updating succeeded window will appear. Click OK and disconnect the phone. where to find phoenix there is no link !! while i am flashing my 2690 it shows "dont have rom". what can i do..? Did you download the right <a href="http://www.keyables.com/2012/08/how-to-download-nokia-firmware-using-navifirm.html>firmware</a> for your Nokia 2690? THANKX MAN IT WORKED FOR ME. ANY1 HAVING PROBLEMS WITH NSS /JAF/ANY PROGRAM DUE TO FORGOTTEN SECURITY CODE AND UNABLE TO SELECT PC SUITE DUE TO LOCKED KEYPAD. 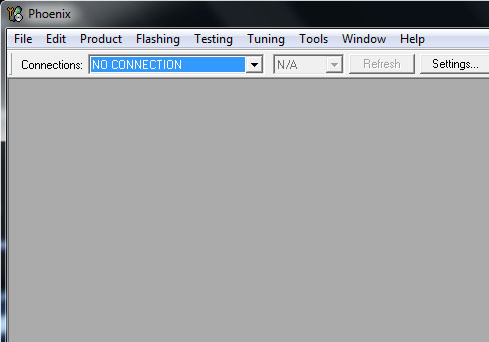 PLZ USE THIS PHOENIX SOFTWARE IT WORKED CHARM AND ONLY METHOD PROBABLY FOR YOU GUYS. IT WORKED FOR ME FINE. FIRST TIME IT SHOWED ERROR THEN I REMOVED THE BATTERY INSERTED IT AGAIN SOME PROCESS HAPPEND THEN AGAIN ERROR CAME THAT FLASHING WSNT SUCCESFULL TRYING TO RECOVER PHONE. THEN I REMOVED BATTERY AGAIN, INSERTED BACK. SAME PROCESS HAPPENED LIKE BEFORE ONLY THING IS IT SUCCEDED THIS TIME! VOILA!. MY X2-02 IS LIVE BACK AGAIN. (NOTE : THIS IS FOR PEOPLE WHO CANT SELECT PC SUITE MODE AND FORGOT SECURITY CODE) aLSO NOTE JAF DOESNT WORK. ONE MORE IMPORTANT THING IGNORE ALL ERRORS LIKE 'HARDWARE IS MISSING ERROR OF WINDOWS ETC.' IT DID POP UP IN MY CASE BUT 3 RD TIME REMOVING BATTERING AND REINSERTING WORKED. really need to flash if i forget d security code??? I need to flash my nokia x2 02. What i do?